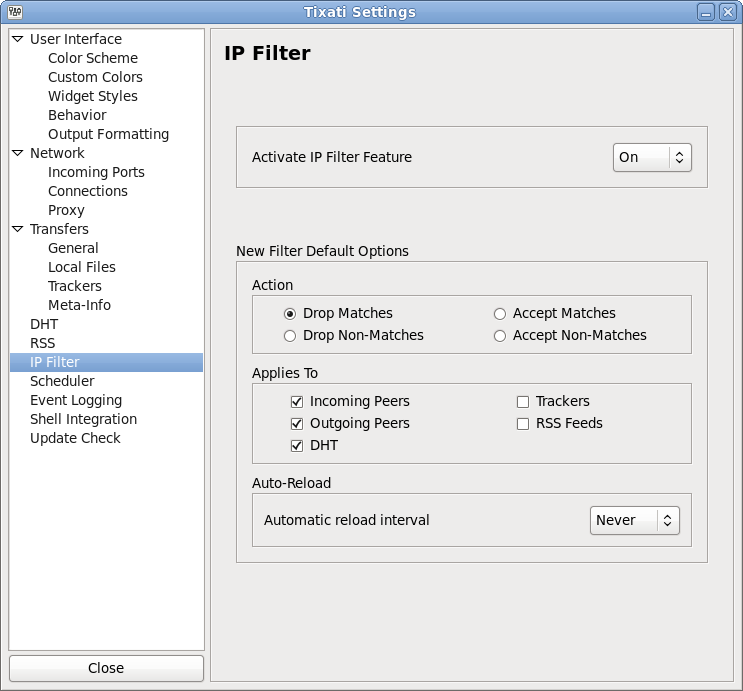 When set to 'On', the IP Filter button in the main window will appear, allowing the user access to the built-in IP Filter manager. If this setting is switched to 'Off', all information in the IP Filter view will be saved, the IP Filter button will disappear, and no IP filtering will occur. These will be the default options in the Add IP Filter window. These options will not affect any existing filters.